Digital health is where big tech firms want to be right now: from Amazon to IBM, Microsoft to Google, hardware, and software companies are scrambling to up their presence in the healthcare sector. Apple has been quietly expanding into space for a number of years as its devices and its CEO Tim Cook even recently said that in future the company's greatest contribution to humanity would be considered to be 'about health'. The first signs of Apple's burgeoning interest in health care with the launch of its HealthKit platform and Health app, which debuted alongside the first Apple Watch. Back then, it was consumer wellness that Apple was talking about, helping users track their exercise, diet, and other lifestyle metrics, with the idea that if you know how much you're doing, you might be encouraged to do more. However, the launch of CareKit and ResearchKit around the same time showed that Apple was also thinking about how to work with medical professionals as well as consumers. The company has also been making it easier for users of its devices to share data with their healthcare provider and making sure that the data it gathers is as useful and accurate as insurers and physicians need it to be. It's not just hearted health that Apple's looking at: it's also working with Zimmer Biomet, a company that creates medical products including replacement joints, to track how people recover from knee and hip replacement surgery. The organizations have created an app that will remind people undergoing the surgeries to, for example, do exercises that are useful in recovery, and will let patients share activity data with their surgical teams. If Apple's initiatives to monitor serious medical conditions prove successful, they could allow the company to make a case to health insurers that, despite the upfront hardware cost, buying or subsidizing its products for their customers could provide savings later on down the line, by reducing the number of expensive healthcare interventions people need. It's a message that's already struck a chord with insurer Vitality, which allows customers that exercise to earn discounts on the price of an Apple Watch, with its most energetic users able to pay nothing at all. While Watches aren't cheap, they could potentially save insurers by encouraging customers to take up and maintain healthy habits, and so reduce their future healthcare needs. 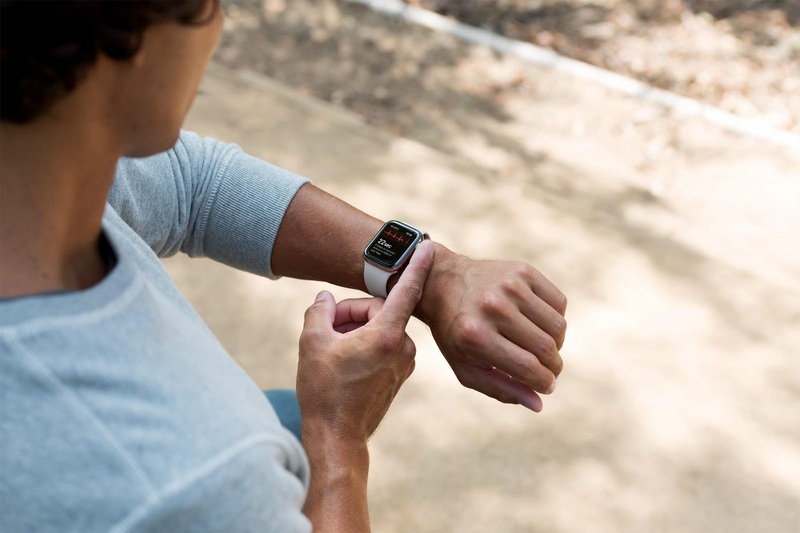 Lack of exercise is a risk factor for developing or exacerbating many chronic conditions; Vitality reports an average 34 percent increase in activity levels for those using the company's reward scheme which features the Apple Watch. There are other signs that Apple is looking to become indispensable to insurers. In December, Apple reportedly hired Jason Oberfest, CEO of a medication management app called Mango Health, which is aimed at people who are on a complex drug regime. There are many reasons patients don't take their drugs as prescribed: they may have difficulty remembering what to take when, they may find the side effects too onerous, or they may have difficulty reading the label or opening a bottle. The costs of patients taking drugs at the wrong time or missing doses can be serious: not only does it cost the healthcare industry between $5,000 to $50,000 per person, but it can also delay someone's recovery or cause significant or harmful drug interactions. If Apple is looking at creating products that help users stay on track with their medication, it could offer another way for its products to save insurers money -- potentially strengthening its argument that such companies should provide subsidized hardware to customers. As well as targeting insurers, Apple is also looking to build out its health presence by creating products targeted directly at healthcare providers. The company is doing some serious recruitment among medical professionals and is now thought to have around 50 doctors, most still practicing, on staff, able to advise the company on what tools physicians need. Earlier this year, Apple added Health Records to iOS, a feature that allows users to share data with their healthcare provider and view their own health data such as immunizations, lab results, and medications directly in the Health app. Health Records is standards-based, and Apple is working with partners to secure takeup of the feature: it's signed up a number of electronic medical records providers, including Cerner and Epic, to help with the integration. The number of healthcare organizations that support Health Records has grown steadily: at the start of the year, a handful of hospitals and clinics were involved, now the number is over 150. It's also made the smart move of opening up Health Records API, allowing third parties to build apps on top of Health Records. Apple has hinted new features targeting seniors could be on the cards: with the launch of the Apple Watch 4, the company debuted fall detection and an SOS feature, allowing wearers to call the emergency services. And it's unlikely to stop there; the company has also patented earbuds with biometric sensors suggesting one potential evolution of its AirPods. There's one more factor to consider here; Apple has made its emphasis on maintaining the privacy and security of customers' data a key part of its product marketing; its devices are generally considered to be more secure than many of their Android rivals. Apple regularly notes that its business model is based on selling products rather than selling the data about the people who use its products. When it comes to medical data – pretty much the most sensitive information any of us have, that strong stand on privacy could turn out to be one of the most important features in Apple's portfolio. Ashoka Packers and Movers in Hyderabad is the most reliably positioned organization and has conveyed more than 56,000 homes all over India. The administrations given by us incorporate Safest Packing of the family, Loading of the Goods, Unloading of the home things with most extreme wellbeing, Transportation of family unit as fast as conceivable with the time-bound conveyance framework. We at Ashoka Packers and Movers likewise ensure the protection of the products of the client and guarantee that the way toward pressing and moving is completed in the most secure of the habits.